It's not been the best of weeks, but here's to focusing on the good things even if they do seem to be few and far between at the moment. And I could only really think of 4 things but that's better than none, right? Blue Banana has introduced me to Vamplets and now I think I'd very much like to collect one of each. Vampyre Kitten is my favourite though, just look at that face! I've always been attracted to things that are a little bit odd, they're always the cutest. And it's amazing how comforting something squishy is when you're not feeling too well. This is a book that I think everyone should read once. It's beautiful. This beauty was in the parcel of goodies I won in the amazing Rachel's giveaway. I tried it for the first time properly this morning and I think this is going to be the start of a beautiful friendship. Both colours are so perfect and they're a dream team when swirled together! This song describes perfectly a time that many of us have experienced/will experience at some point in our lives. It stirs up all of the feelings. And however awful it feels at the time, it gets better. Believe me it gets so much better, I promise! That plushy is so adorable! I love quirky toys too. 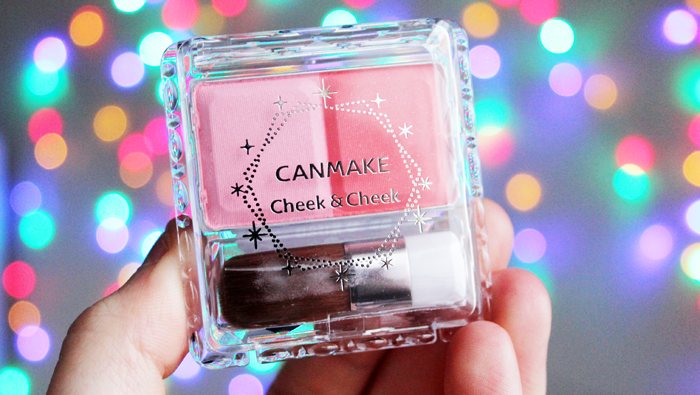 The little cheek palette is so cute! Off to check out all those blogs now..
Aw thankyou for linking my blog, that's very kind of you. Btw that vampire kitten is the cutest thing I have ever seen!! I've always wondered what that book was like, I'll be writing it down on my list of 'to read' later on. Take care Jennie. That vamp plushie is AMAZING! 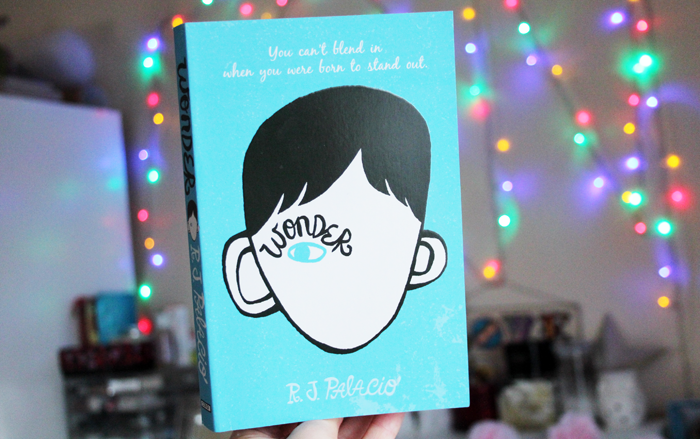 Also, I've been meaning to read Wonder forever. . .
That vampire kitten has to be mine. I love it, I just need it in my life now that I know it exists. Made a note of the book for my next book club! 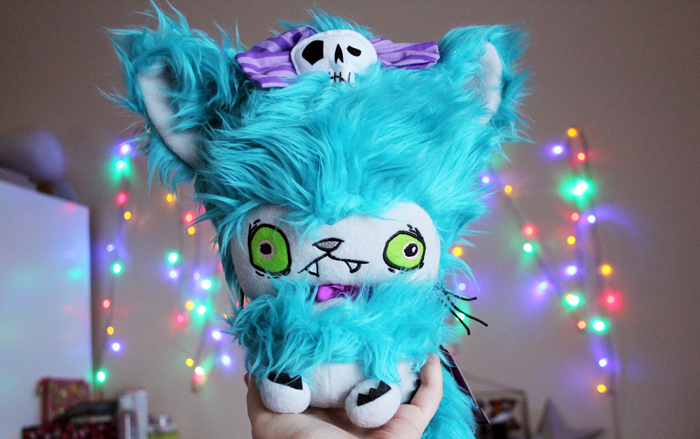 i used to work for Blue Banana, awful times haha but thats another story the kitty is too cute!! Thank you for mentioning my blog Jennie! I'm getting back into blush atm and those shades look gorgeous. I hope you're feeling better/have a better week, next week! Aw thank you for mentioning my blog you little sweetheart! Sorry to hear you've had a bad week, but like you say, it does get better :) those shades of blush looks like some beautiful colours to me too! No wonder you've been loving them! Hope you have a wonderful weekend, and a better one than the week you've just had lovely! Think I need to read that book! Sorry to hear you've had a tough week Jennie - hope this week is better for you! I'm always looking for a good book so I'll keep an eye out for that one! Great post :), love the look of that blusher! Love the sound of the book, I might have to check it out and the Sam Smith song is gorgeous...I'm so in love with him right now! I remember you posted Sam Smith a while back and I thought he was ace, thanks for reminding me of him again - what a voice! OMG that vampyre kittty is the cutest! I NEED one! :) Sam Smith is amazing! His Radio1 Live lounge cover of ry x berlin is my fav song atm! Omgosh, that kitty is the cutest! !